Modern systems of automatic rolls cooling control are based on mathematical models, since the use of direct methods of rolls bulk temperature measuring is not available. Surface temperature of the rolls during the rolling process is very difficult to measure because of the water splashing over almost the entire surface of the rolls barrel. Even in the case of measuring the surface temperature of the rolls need to use a mathematical model that would be possible to determine the bulk temperature of the roll by the known temperature of the surface, which varies widely by one revolution. 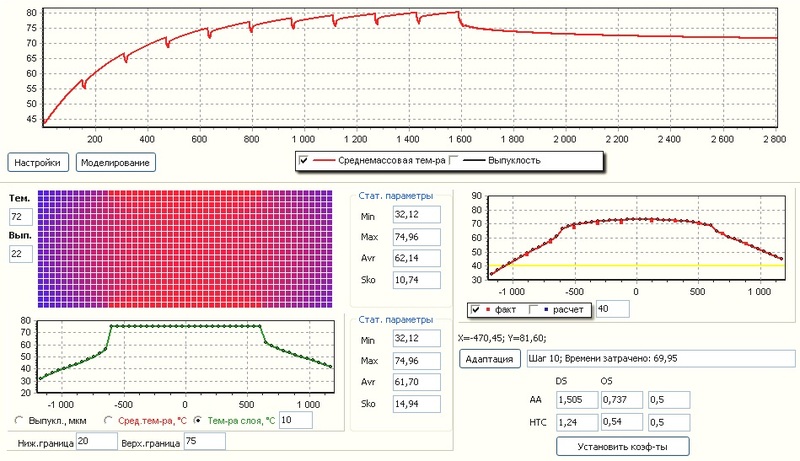 MTM together with the ISI NASU developed a complex of mathematical models that allow to calculate the temperature of the work rolls and to control it in the process of strips rolling. 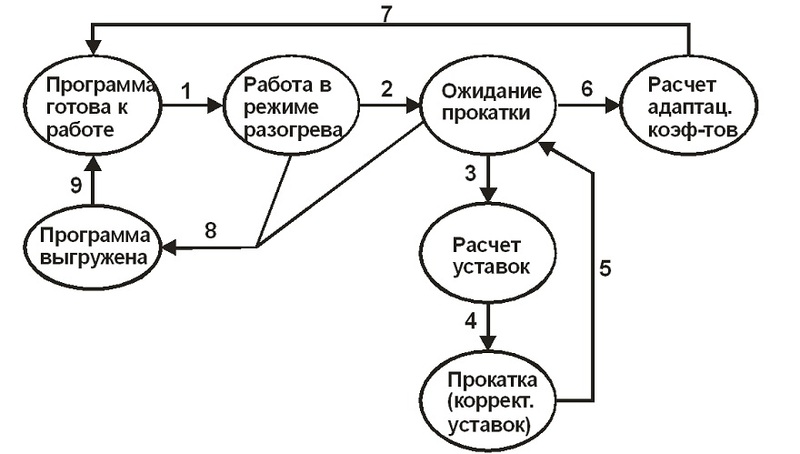 These models form the basis for subsystem of automatic control of the work rolls cooling for WS HRM 2000 of MMK. Complex software is being developed in this project intended for RCS in finishing stands. 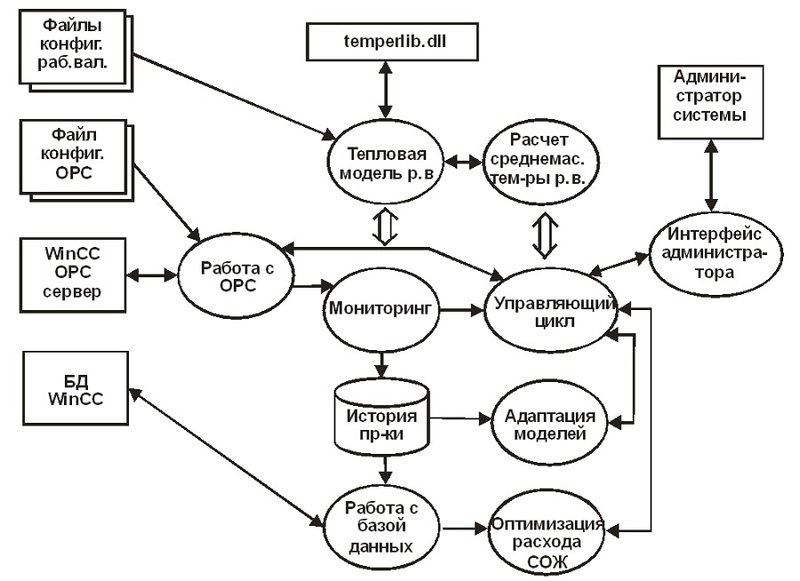 RCS as a whole develops ASС and MTM develops integrated software that provides calculation and optimization in automatic mode the parameters of work rolls cooling, namely - the volume of cooling water in the finishing stands and finishing stands numbers (from the first four) where it is necessarily to switch-on surface cooling of the strip by the "anti-pilling" system. 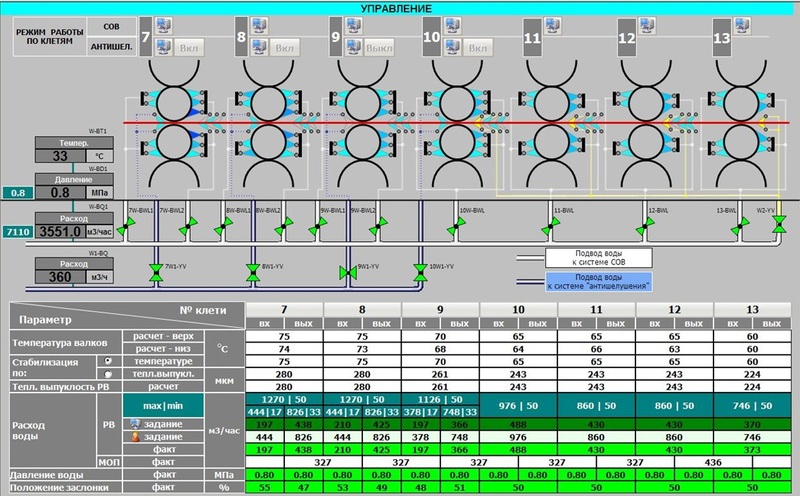 calculation and optimization of work rolls cooling on-line (off line simulator), which includes input and editing of the original data of the rolls cooling system, the calculation of cooling mode, the output of the calculated values displayed in tables and graphs with an additional opportunity to confirm and implementation of the calculated parameters of the cooling system on the mill rolls. 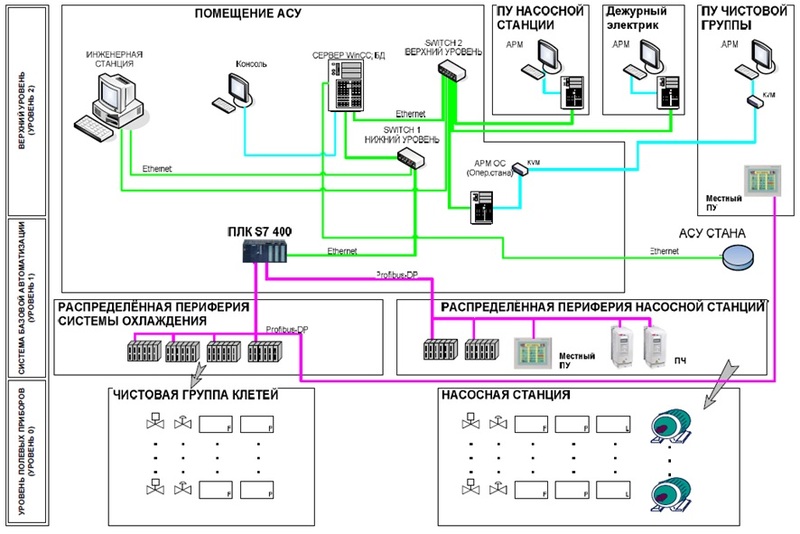 Complex software is installed on a single workstation and is a single complete development, which is available for integration in the RCS of finishing group of mill 2000 (stands 7 - 13). As a workstation, it is used a special computer from leading manufacturers, for example, Hewlett Packard. improve the reliability of the cooling system. 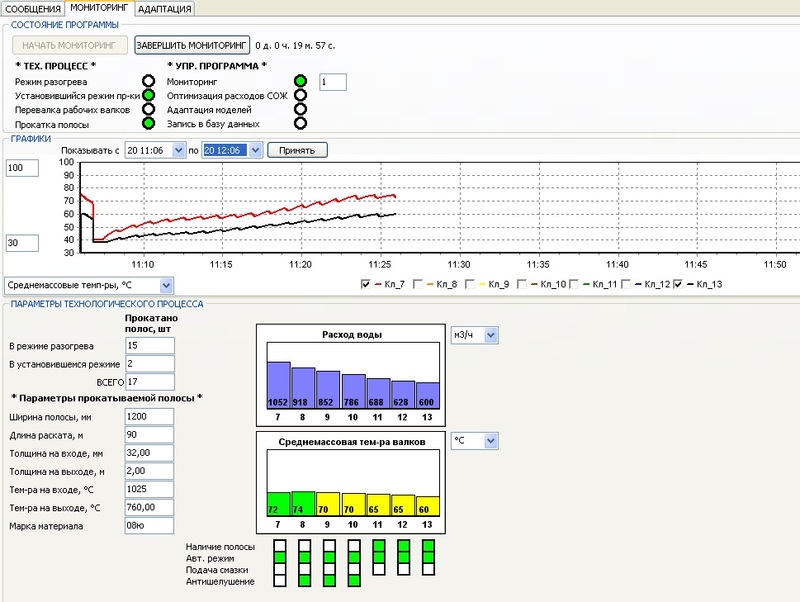 Note: The temperature deviation is allowed no more than +5 ° C.
At the present time, a comprehensive software is developed ready for pilot-industrial testing and further commissioning.